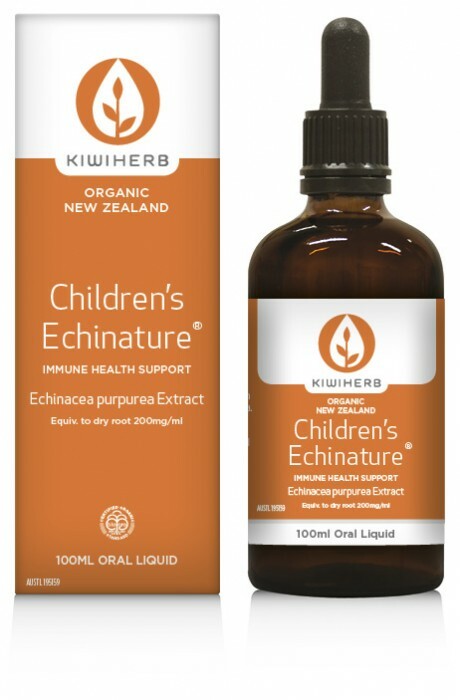 Kiwiherb Children’s Echinature is made from premium organic Echinacea rootgrown in the beautiful Canterbury Plains of New Zealand. Echinacea purpurea root (organic)	400mg / 2ml. In a base of organic apple juice concentrate with natural orange oil flavour. Contains no artificial colours, flavours, sweeteners or preservatives, gluten, yeast or dairy derivatives. Contains less than 0.5 % ethanol.